500 Common Korean Idioms is a useful learner's tool that presents the 500 most commonly used Korean idioms in a clear and easy-to-follow manner. an MP3 file for each idiom (online). 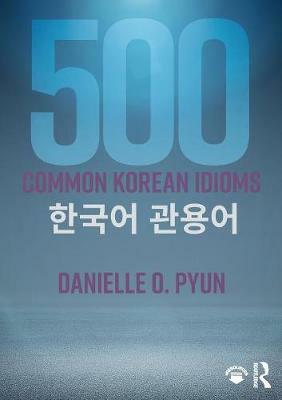 Suitable for intermediate to advanced learners of Korean, 500 Common Korean Idioms provides a step-by-step approach to gaining greater fluency through a grasp of the most common idioms in the language.